California Conventions Blog: HAIL TO THE KING BABY!!! Q: How many Wal-Mart staff members does it take to turn off the theft alarm at the camera bar after midnight? Any-who, no, that's not what this post is about! If you haven't figured what this report is about by its own title, then truly I really don't know you!!! 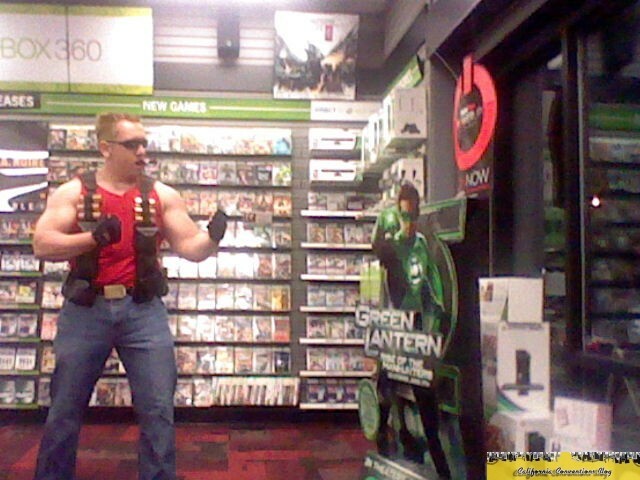 Just yesterday morning, I was at the Duke Nukem Forever Midnight Launch Party over at GameStop off of Crater Lake Hwy and Delta Waters Rd. 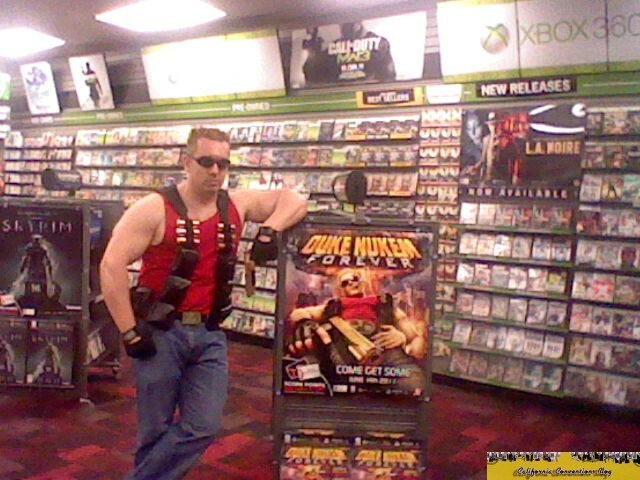 Several days before the launch, there were rumors of a Duke Nukem cosplayer along with rumors of the schoolgirl twins to arrive at the launch that morning. YES FOLKS, DUKE HAS ENTERED THE BUILDING!!! Unfortunately, the twins did not show but that's alright. 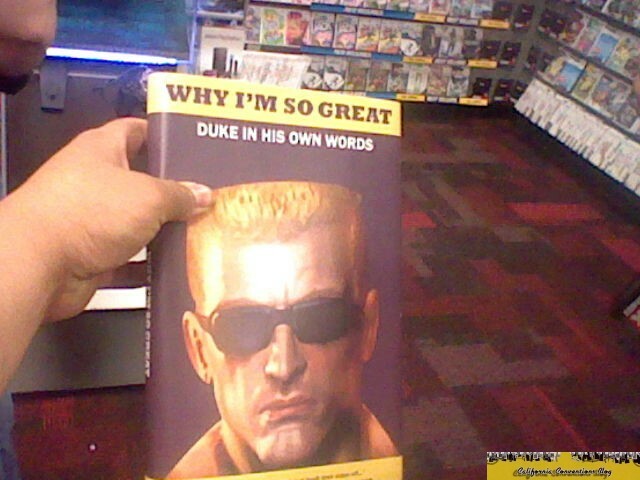 The photos were great this guy had Duke's personality, impressions, and voice acting perfectly on the spot! 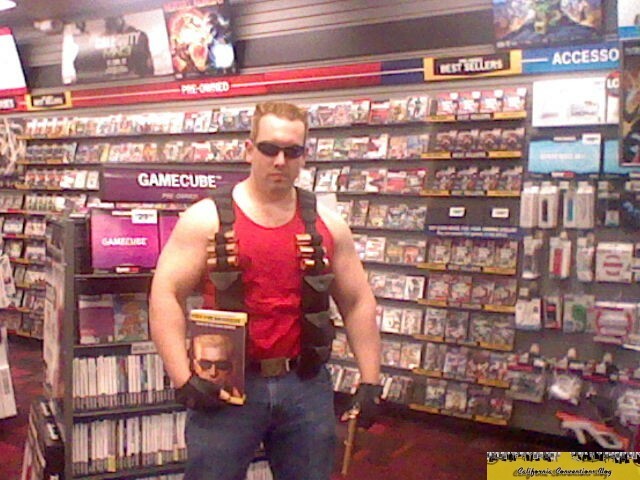 It just comes to show people here actually do cosplay, but show tribute to the king himself!!! 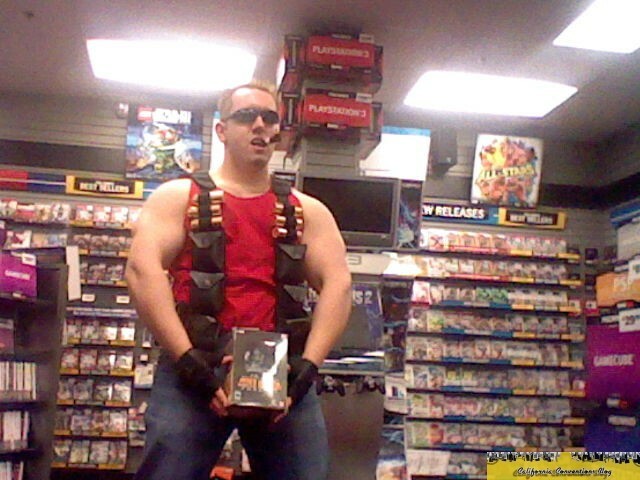 "It's time to ^$$ and chew bubblegum..and I'm all outa gum!!!"